Not the normal shed you might find in Montana! We strive for a beautiful building that will enhance your life. Portable finished cabins for your mountain property or a small place to call home. Are you tired of tight spaces crowded with your extra things? Are you dreaming of a tiny cabin nestled away in your mountain property? 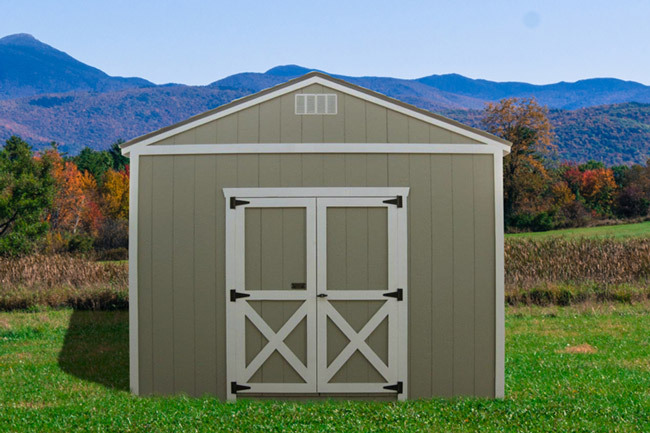 Whether it is storage sheds, garages, a small cabin, a chicken coop or a horse shelter, we can help you find a solution. Find your building here and give us a call at (406) 552-4205 with any questions you have. 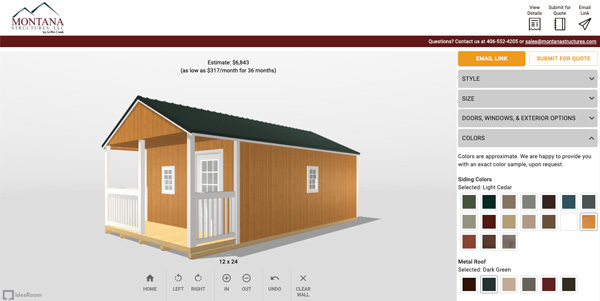 Our storage sheds are built with you in mind. If you’re looking for our most economical storage option try our portable Mini Barn. For a classy backyard showpiece check out our portable Anaconda Shed. 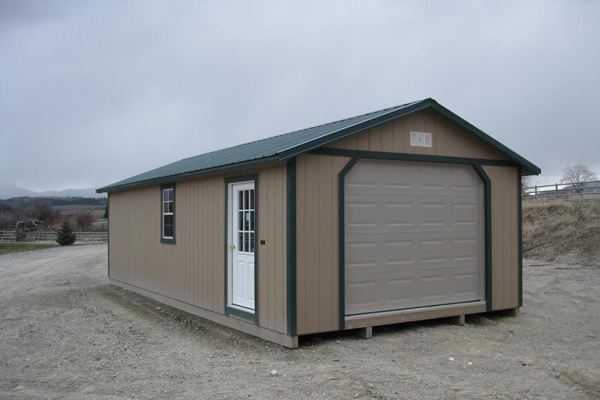 We also offer a wide range of sheds in between to meet your needs. 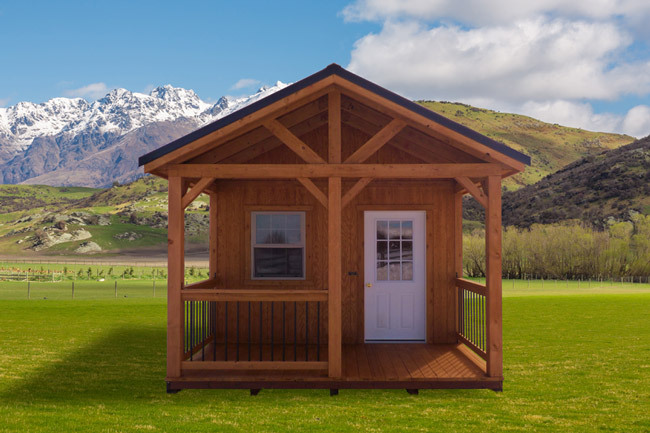 Our portable cabins give you an affordable way to add living space to your home or vacation property. A cabin shed is a good option if you’ve outgrown your home or just need a place to get away for the weekend. The interior of our portable cabins can be finished to create a cozy tiny home. A portable garage is an excellent choice if you need to get your car out of the weather. 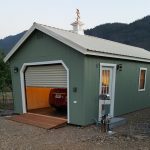 In addition, prefab garages can be used as workshops, large storage sheds, and in many other ways. 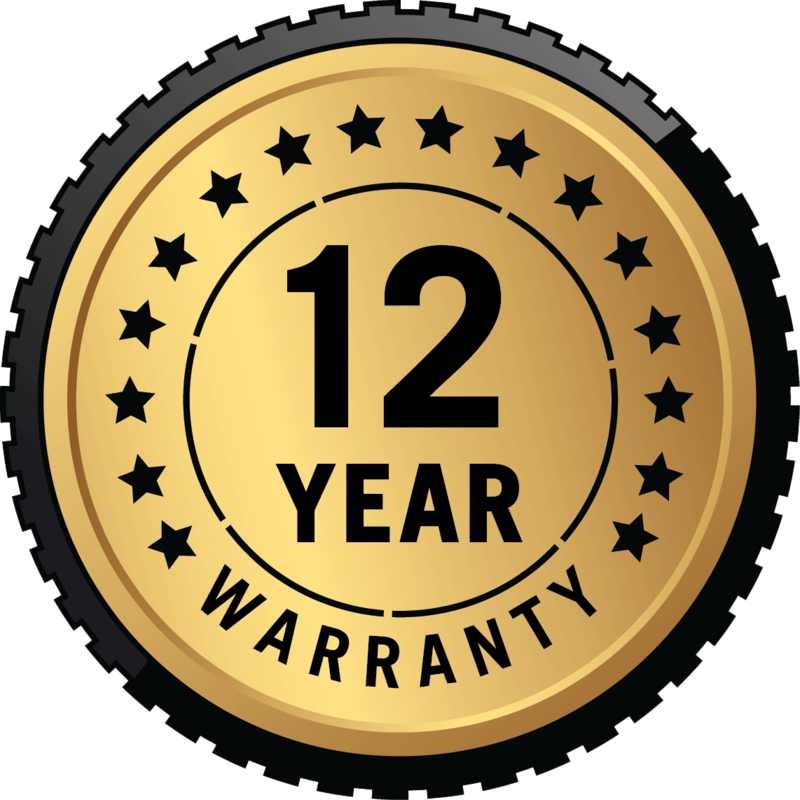 We offer several different styles of garages to meet you needs. The green thumb in you would love one of our pre made greenhouses. 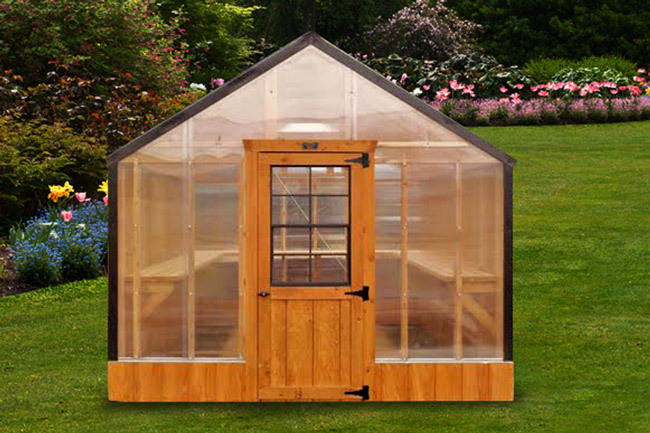 We offer many different sizes and several options that allow you to design your own greenhouse. Imagine a greenhouse filled to the top with your thriving plants. Browse our greenhouses to get started! 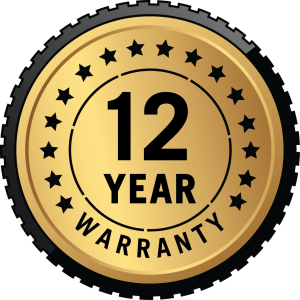 Whether you’re a serious chicken farmer or just like to have chickens in your backyard as pets our chicken coops can make caring for your chickens easier. 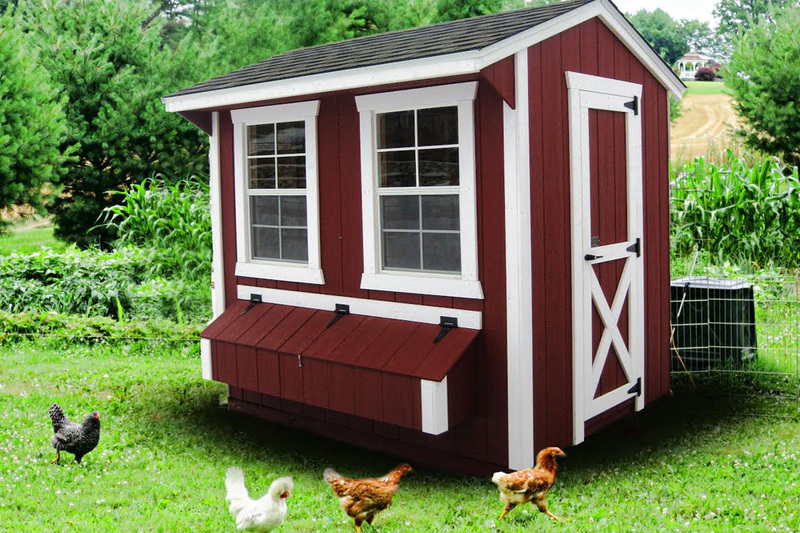 Check out our backyard chicken coops for keeping your chickens safe at night or consider a portable coop which allows your chickens to graze in a new protected location each day. 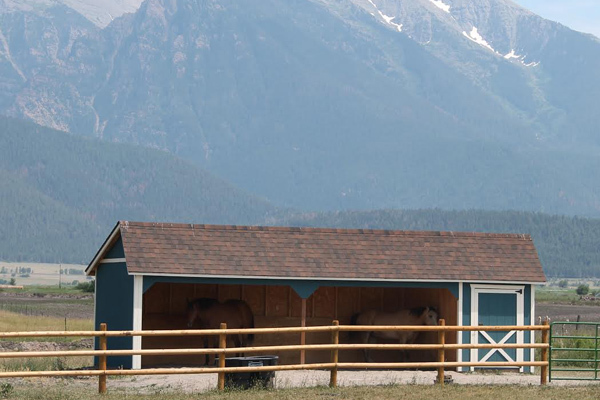 Our horse barns and horse run in sheds provide year-round shelter for your horses. If you buy a run in shed with a tack room you also get storage for your horse feed and supplies. We offer a wide range is sizes, colors, and configurations. 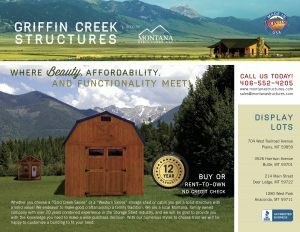 We would love to talk to you to see how we can help you design your horse barn!